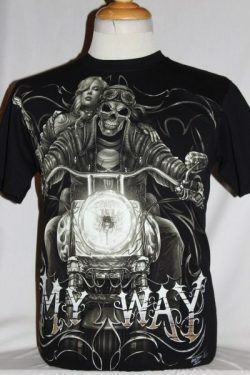 The My Way Harley Rider T-Shirt is a two sided print in black. 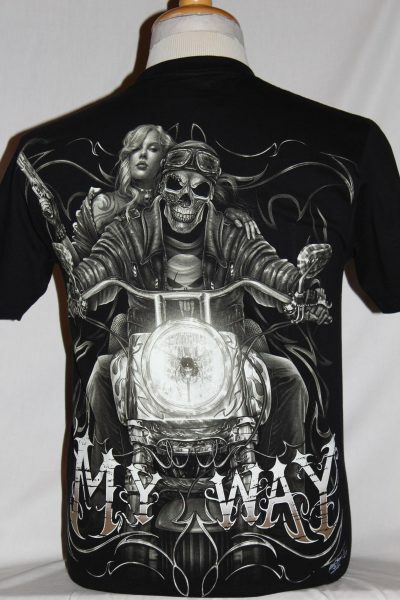 Front Design: Front view of a custom harley, skulled rider, and biker girl with pistol. Back Design: Same as the front. This shirt features a glow in the dark design with text.